Come affrontare la prevenzione alla violenza in contesti educativi in età prescolare? The “Stronger Children, Less Violence!” study was carried out between 2009 and 2011. 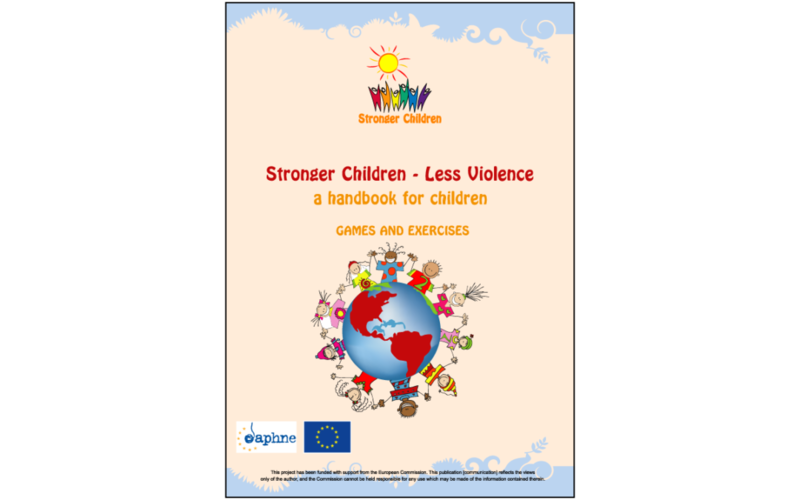 It aimed at establishing training on violence prevention and de-escalation already in preschool settings on a regular basis in six European countries, in compliance with the EU Commission’s objective to protect children against all forms of violence. develop a manual to be used by educators in teaching contexts. Drawing from EU’s policy to encourage “specific attention to children’s needs, Europe’s values of social protection and on other programmes it is implementing” (see Commission communication of 4 July 2006 – Towards an EU strategy on the rights of the child (COM(2006) 367), the study was based on the assumption that through regular training children feel “stronger” and are able to demonstrate this strength against “attackers” especially from the peer-group but also from others. Showing strength and self-confidence can indeed put off potential attackers or offenders. The need for the study stemmed from the fact that usual violence prevention training starts much later in life – if at all – usually in secondary school, when special projects are carried out. At that time children usually have already experienced bullying or violence or have developed a certain tendency to bullying as a measure to receive attention. Some of them even have a “track record” of being either a bully or a victim. Thus, it is essential to start at preschool age. The study was innovative in that the self-protective competences of children (self-confidence, able to say No, etc.) were strengthened through the training, consisting mostly of games. Such training was also shaped for child carers and educators who were lead to apply violence prevention and de-escalation training as part of their routine. The project proposed further that the training of child carers and educators included awareness raising activities, because of the fact that undetected, small but recurrent situations could lead to escalation. The idea of having children solving their problems and arguments on their own was not fully satisfactory. It was especially underlined that younger children need to learn how to argue and to solve a conflict peacefully. Their unfiltered emotions quite often lead to physical reactions like biting, kicking or spiting. Child carers and educators have an immediate and crucial role here. the violence prevention training, that was tested amongst children, educators and parents, resulting in a higher degree of awareness round about conflict prevention from the early childhood stage. The handbook is a combination of practical background knowledge as well as a collection of games and exercises. The idea is to develop an open program that lives from the input and experiences of educators and kindergarten teachers.